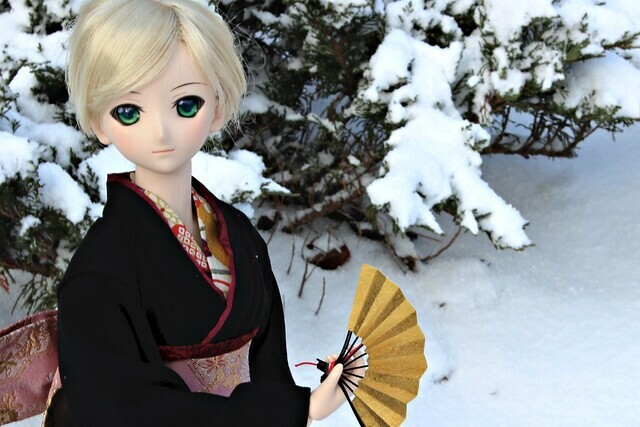 It’s been snowing rather steadily the past few days and I took advantage of the crisp white snow to take a few photos of Lily outside. 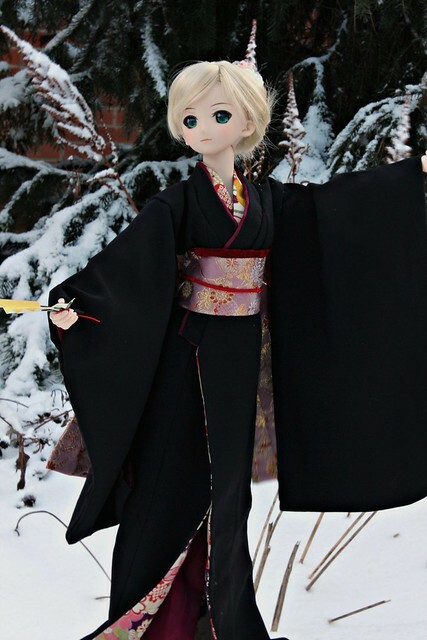 I think she looks gorgeous in her Umemurasaki kimono even if it is very cold out right now. Here is Lily performing an elegant dance while snow gently driftts. She is a vision of loveliness! The days are slowly getting longer, and even though it’s very cold an bleak, there are still little reminders here and there that spring is around the corner. Happy Lunar New Year everyone! I hope the year of the Dragon brings you lots of luck, health and prosperity! 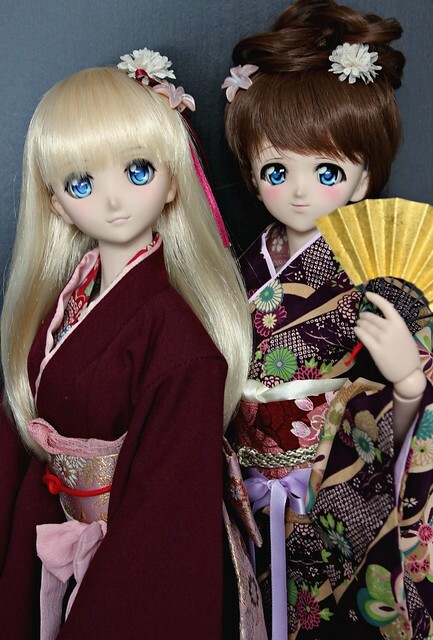 This entry was posted in Dollfie Dream and tagged Aerie, kimono, Moe, Saber Lily by archangeli. Bookmark the permalink. Cold but lovely! ^o^! 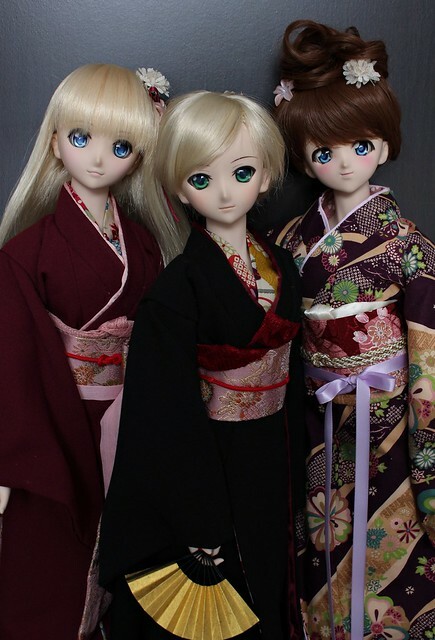 kimonos from YJA? 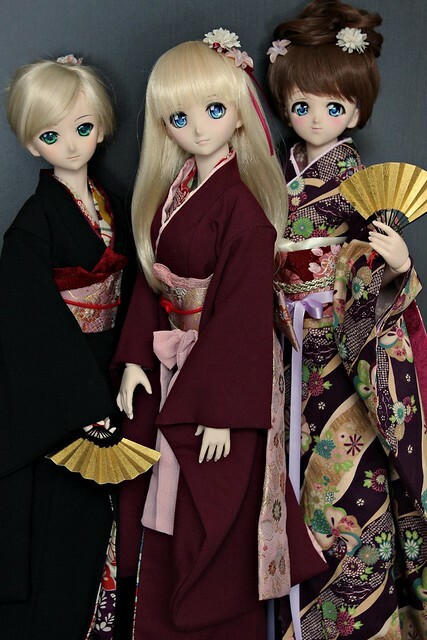 Two of them are from the Volks Kobe DP last year. 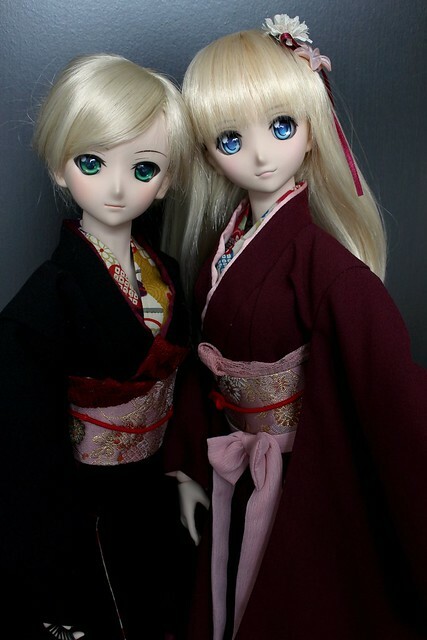 The one that Moe is wearing is an Infinite Love kimono that I picked up at Dollfie World in Hong Kong a few months ago. I was waiting for the right time to open it up, and I was quite impressed with the quality. 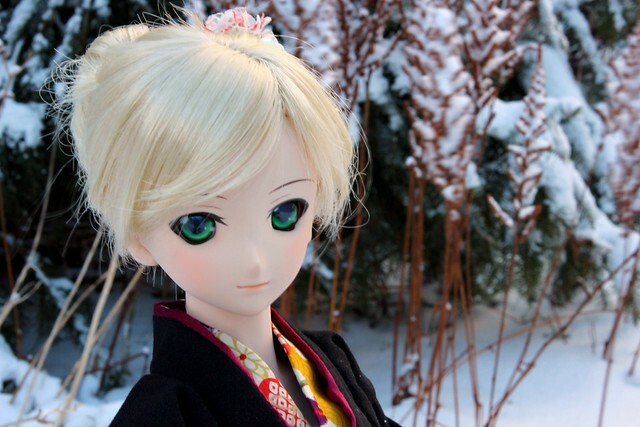 Have those 2 Volks kimino as well and they’re great. Also indeed quite easy to use. i cannot tell you how jelly i am of your saber. your pictures. and your girls.